In 2018, we sent 7 Justice Democrats to Congress — as a vanguard for transforming the Democratic Party. We helped pull off one of the biggest upsets in American history by recruiting and electing Alexandria Ocasio-Cortez. Now it's time to recruit the next candidates for the 2020 Justice Democrats slate. We do not take any corporate PAC or corporate lobbyist money, which means we need to start preparing right here, and right now. 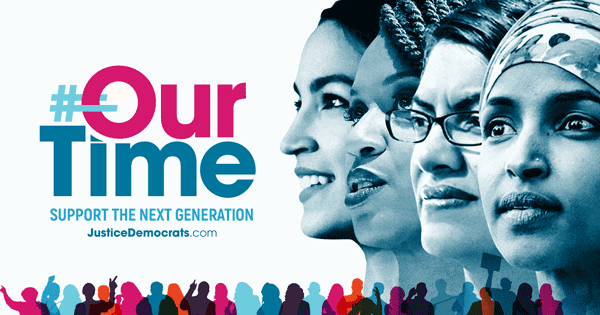 We need your help to make sure we build a movement that fights for Medicare For All, a Green New Deal, free college, and ending mass incarceration and deportation. Donate today to help transform the Democratic Party and elect candidates who will fight for their voters every step of the way.